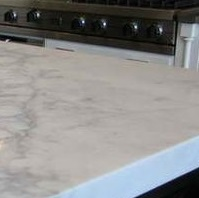 Solid Surface is a man made material which is non porous and requires low maintenance. 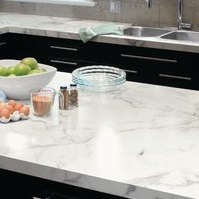 Solid surface appearance has been mimicked from marble, granite, stone and other naturally occurring stones. The solid surface countertop is resistant to stains as it is a non porous material, moreover it does not require sealing. Its ability to get joined without leaving any gaps where bacteria can multiply and the seams are also not visible. It does not absorb oil or any liquid and you don't have to worry about the water damage that damages the countertop near the sink area. Solid surface can be cleaned easily as stains can be removed easily using a wet cloth and detergent. 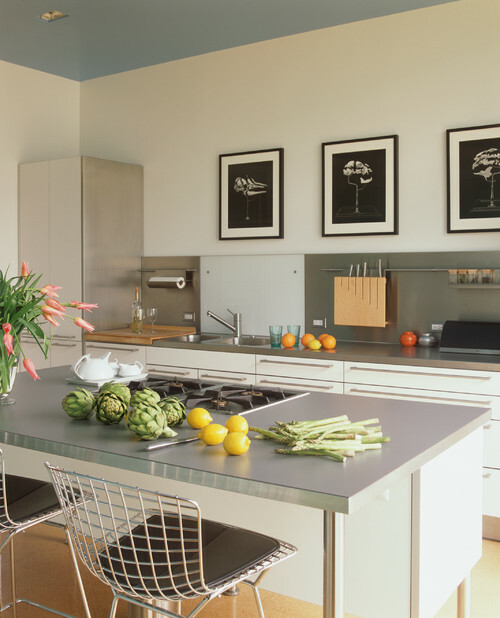 The solid surface countertop does not requires to be sealed like marble or granite, you can keep it shinning by using just water and mild detergent. Scratches can be easily wiped off its surface as they are not permanent and deeper cuts can be repaired with seamless patches. It has many patterns and designs available, some designs are mimics of granite, marble and other natural occurring stones. 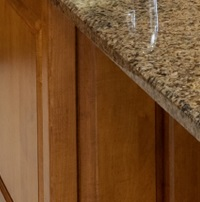 It can be given any color and design pattern, it also gives your countertop a uniform look throughout. 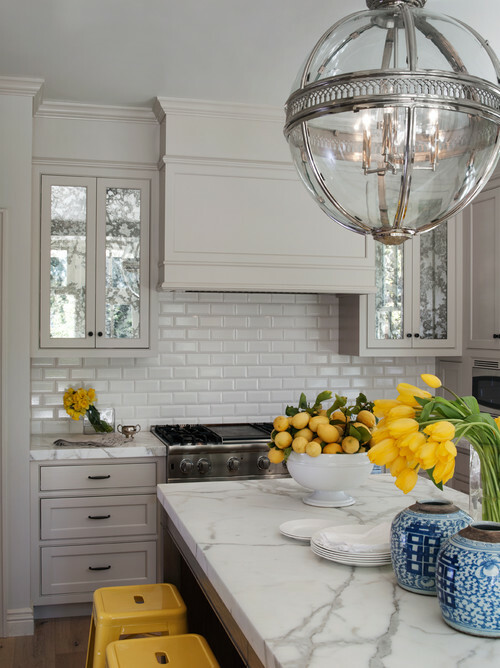 It adds a warm feel to your kitchen unlike other materials like granite, marble or stainless steel. It is resistant to cracking, chipping or loose ends. It can bare more impact than other natural stones available. 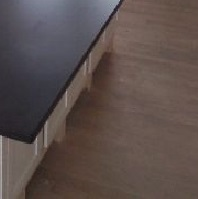 It is a renewable countertop so it lasts for quite a long period of time. 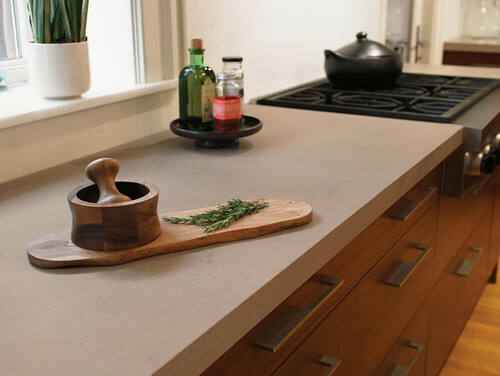 Solid surface countertop is a renewable countertop as it is made up of bauxite, marble dust, drain boards and inlet trivets. Cuts and scratches can be sanded out easily making it last for quite a long period of time. High heat contact can crack the surface whereas knives can leave deep cuts on the surface. 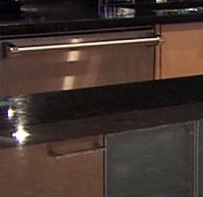 Its color can also fade if exposed to direct sunlight and putting hot pans will damage the countertop. Use a cutting board for chopping things as sharp objects causes wear and tear of the countertop. The discoloration and denting caused by the heavy hot pans are not repairable. Chemicals like nail polish remover, thinner or even some cleaners can damage the surface. Installation of the solid surface is costly as it has to be installed by a professional only, because some specials tools are not available and cutting tools for them are costly.